Oh My God – We’ve actually got a floor! 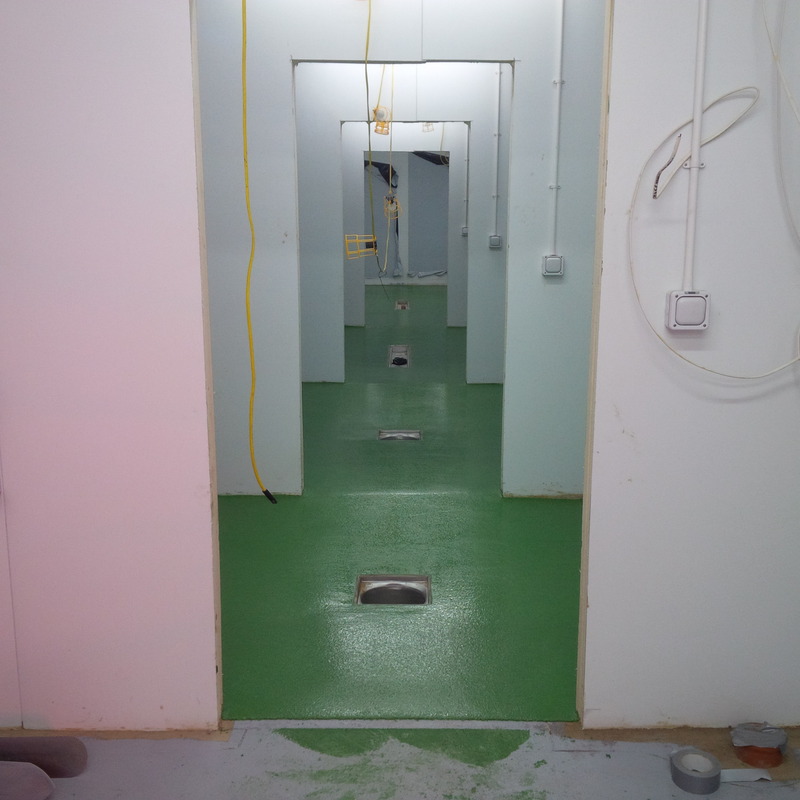 Anyone who’s spoken to me recently will know that the floor of our Dairy has proved a major problem and a huge source of frustration all round. 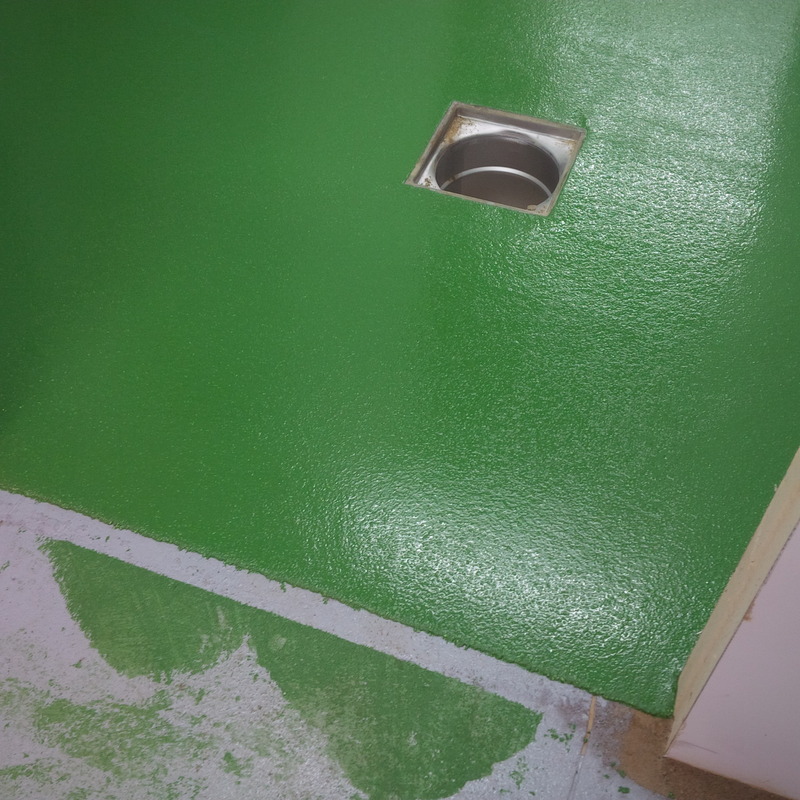 Today, finally, we have the beginnings of our resin floor. The green really ties the rooms together.